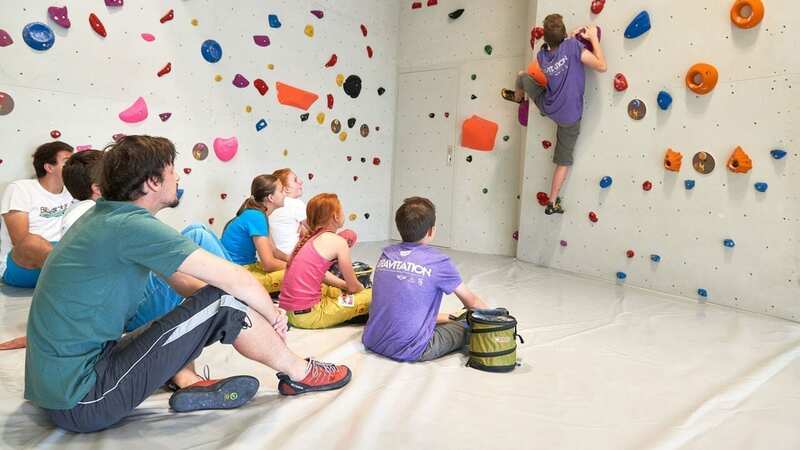 The upper floor of the Tannheim Valley tourist office has a climbing gym featuring a bouldering and rock climbing facility. 170 m2 of bouldering surface suited for various skills and levels of difficulty: fun and action guaranteed for climbers of all ages and abilities. Bouldering and rock-climbing courses, including equipment rental, give whole families the opportunity to climb rocks safely indoors, no matter what the weather’s like. More about indoor bouldering and rock-climbing in Tannheim Valley!